Prospect Park Books, 9781938849091, 324pp. The historic, handsome city in the shadow of Los Angeles has been a creative hotbed since the Arroyo Arts & Crafts scene of the early twentieth century. This literary journal gathers short fiction by such Pasadena-area writers as Michelle Huneven ("Blame"), David Ebershoff ("The 19th Wife"), Victoria Patterson ("This Vacant Paradise"), Jervey Tervalon ("Understand This"), Naomi Hirahara ("Snakeskin Shamisen"), Lian Dolan ("Helen of Pasadena"), Denise Hamilton ("The Last Embrace"), Ron Koertge ("The Arizona Kid"), Dianne Emley (the Nan Vining mysteries), and Jim Krusoe ("Parsifal"). 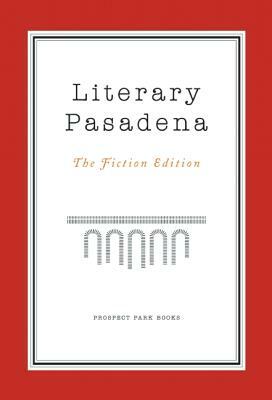 Produced as a companion to LitFest Pasadena (May 2013), "Literary Pasadena: The Fiction Edition" is the first in an annual series that will move on to include editions in poetry, essays, humor, and more. Michelle Huneven is the author of three critically acclaimed novels, most recently "Blame," a finalist for the National Book Critics Circle Award and one of the Ten Terrific Reads of the year for "O, the Oprah Magazine." An Altadena native who lives there still, she contributed the introduction to the collection, as well as a work of short fiction.